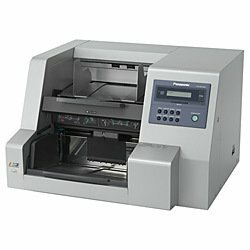 The KV-S3085 series of high speed scanners incorporate exceptional features and performance into a powerful, robust scanning solution. 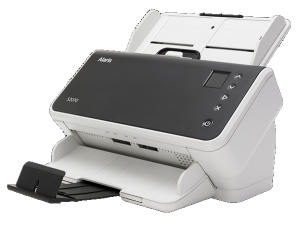 Up to 105 ppm/190 ipm, High Speed BITONAL Duplex Scanner, Dual Ultra SCSI & USB 2.0 Interfaces, ISIS Certified, TWAIN Compliant, Business card to legal size. 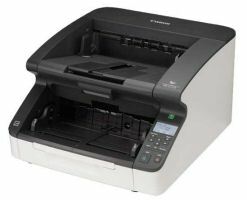 Reliable Throughput Image Viewer (RTIV™) is provided with all Panasonic high speed, document scanners. This utility is capable of utilizing every advanced (PIE) Panasonic Image Enhancement technology that is engineered into the scanner, including features such as: Dynamic Threshold, Auto De-Skew, Auto Cropping, Auto Blank Page Removal, Auto Document Separation and Color Dropout — making it a powerful image capture utility. 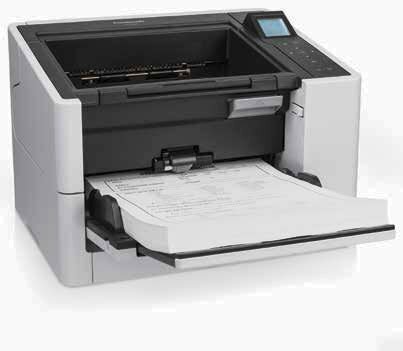 With RTIV file management capabilities, scanned images can be directly saved in the popular PDF file format as well as TIFF, JPEG and Bitmap formats.